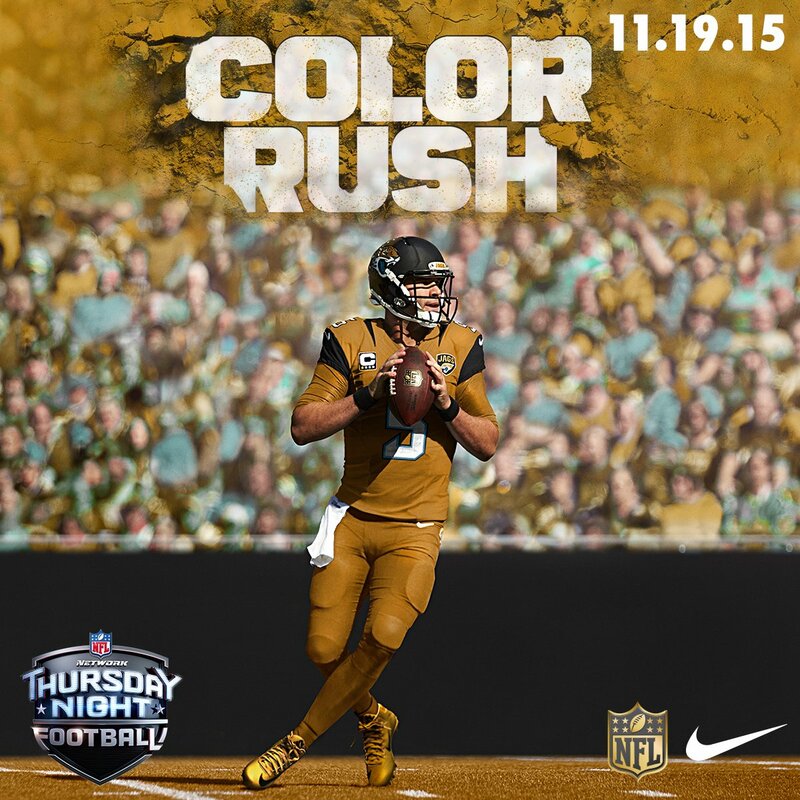 We had known for a while that the Jaguars would be in all gold and the Titans would be in all blue for their Thursday Night Football matchup next week. There were leaks but now it’s official with the NFL’s announcement. 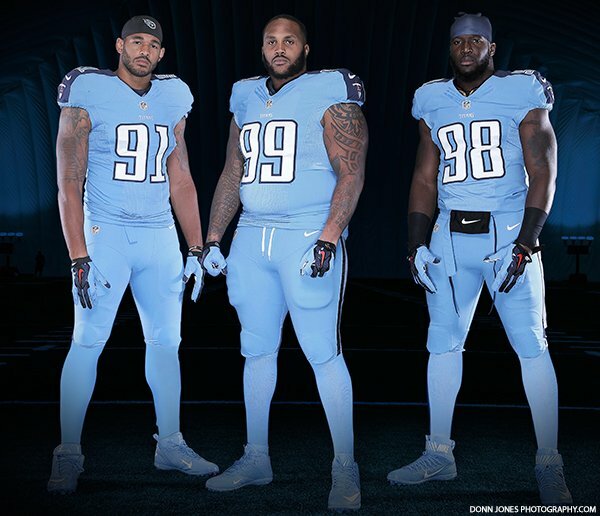 For the Titans, this uniform combo isn’t anything new. In fact, it’s pretty much the combo they have worn before. These new duds appear to possibly be a lighter shade of blue, but it’s hard to tell. The socks are new but that’s it. As for the Jags, they are wearing all gold. It’s not an idea option but since going all teal would have been too complicated with the Titans as the opposition, this is their other option. It’s loud. It just doesn’t look very professional. All-gold in theory is great. But for a team that already wears a very complicated uniform, this doesn’t work well either. The numbers might be a problem too for the officials. Next weeks’ game might look nice under the lights but it could get really ugly. This entry was posted in Jacksonville Jaguars, New Sets, NFL, Tennessee Titans, Uniforms & Design and tagged Color Rush. Bookmark the permalink.